U kin haz sleeps layter! Nawt konvinsed. Ai duzzint want tu be mawld. Hello, I am heer for yur soul. Oh – I got yrs alredddy? Sorry – is tu dark to see propperlee. 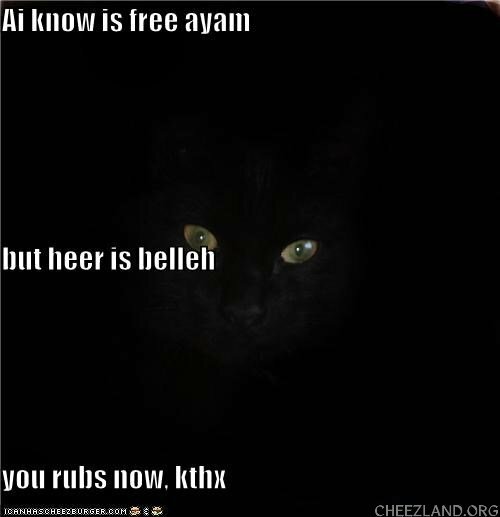 But sinse yr awake now, I can has treet? Fanks. In Cheezland, the time is 05:07.